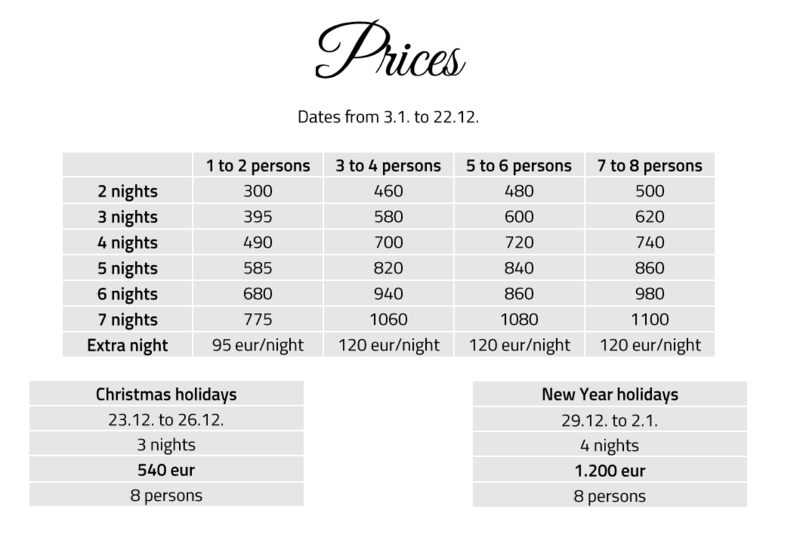 – Extra charge for pets: EUR 5 per night. Prices are valid from 1 January 2019. After making an enquiry, you will receive a quote with information to make the payment for your reservation. When the payment is processed you will receive confirmation of your booking. Full payment is required at the time of booking. Thank you for your understanding. Tourist tax does not apply to children under 7 years of age. Accommodation is free for children under 7 years of age. The cabin sleeps up to 8 persons. Minimum stay is 2 nights.